You invest a lot of time, money and hope in the purchase of a new sofa. 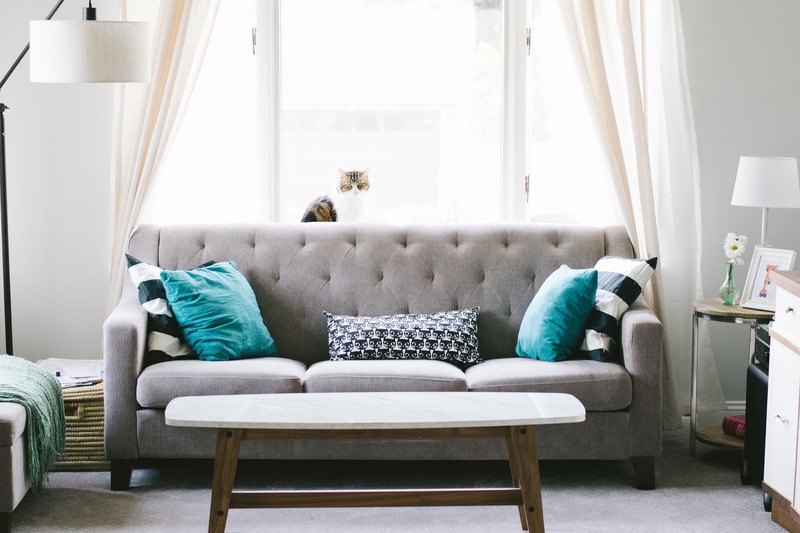 The hope is that it’s going to transform the appearance of your living space and to fulfill that goal it needs to be cared for and maintained which takes some work – one of the first challenges associated with having a new sofa. Some of the problems are fairly obvious and universal. They tend to involve children and mud; or children with ice cream, chocolate and fizzy drinks, to name just a few of the most obvious offenders. To be fair to children, adults with their glasses of red wine, beer and forgetting to change their stained clothes after a hard day at work before sitting on their new sofa can be equally damaging. But there are other issues with a new sofa that you need to contend with so that your new sofa can continue to serve the purpose for which it was purchased. Here are a few of those problems, or potential problems, and some solutions that will help you to either avoid further expense or resolve inevitable problems that come about mostly due to ageing. A common problem, and disappointment, for purchasers of a new sofa is how different a fabric can appear under the fluorescent lighting of a showroom compared to your lighting at home. Unfortunately, you don’t notice the difference until the sofa is in position at home. Contributing to the disappointment is the added variation between the day and night or even just the morning and the afternoon. To avoid disappointment, take a swatch home with you and make sure you compare it against your wall colour at different times of the day. It’s the best way to get a true representation of how your sofa will look once you get it home. We started talking about those upholstery stains and the likely causes and offenders. There’s a couple we forgot; the dog that was allowed to sit on the old sofa that thinks it’s ok to sit on the new sofa – that’s a common one; and the smudges from greasy hands and heads are particularly annoying. So what to do about it. Well there are numerous ‘Scotchgard’ type fabric protectors and coatings available; some more effective than others and all of them claiming to protect your fabric from any number of potential disasters. But in reality there is only so much that fabric protection can achieve and their effectiveness does diminish over time. But Microseal, unlike other ‘Scotchgard’ type products is a revelation. Microseal penetrates fabric and leather at a molecular level while maintaining the appearance and texture of the fibre. When you spill something on your upholstery it absorbs into the fibres of your upholstery. Microseal fabric protection is unique because it protects each individual fibre in the fabric and because MicroSeal is not a coater it does not need to be reapplied and it will not wear off. And for upholstery that has been neglected over a long period of time, our sofa upholstery cleaners can remove the toughest stains. Pressure & Steam are the experts in the care and maintenance of furniture upholstery. Once we’ve treated the stains our professional team of cleaners can perform our unique and permanent Microseal treatment to protect your home and office upholstery against staining, the sun and general wear and tear. Microseal will also protect your sofa from the effects of the sun. As an added precaution it’s a good idea, to move your sofa away from your windows or to close your blinds when you are not at home. A few different things can happen with your upholstery over time. The good news is it becomes less firm, more pliable and therefore more comfortable. That’s to be expected, but you may need to apply some regular fluffing to keep it from flattening out excessively. Pilling occurs when your fabric stretches and pulls and ends up creating little balls of fuzz. Most, if not all fabrics, except leather, will fuzz. You can very carefully eliminate fuzzing with the light application of an electric razor followed by a light vacuuming. All fabrics will wrinkle, it’s just that some designs are more obvious than others. Patterned fabrics conceal wrinkling in a way that solid fabrics don’t. 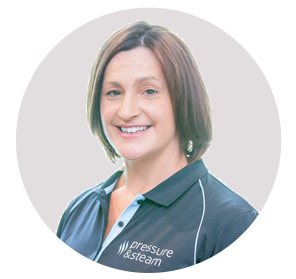 A hand held steamer will remove wrinkles gently and effectively but for the most effective solution call Pressure & Steam Upholstery Steam Cleaning Services in Sydney. Of course the best solution to all of your upholstery problems is to contact Pressure & Steam for a Microseal treatment and for the prevention and restoration of hard and soft surfaces and upholstery.